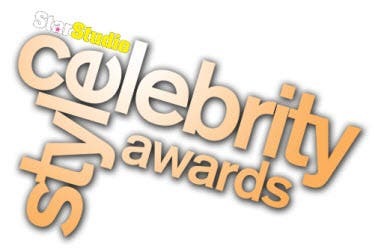 StarStudio Magazine, the celebrity lifestyle and entertainment news magazine of ABS-CBN Publishing announces that voting for the 2nd StarStudio Celebrity Style Awards is now open until July 13. The poll is being held as part of the magazine's 13th anniversary celebration. First held in 2010, the StarStudio Celebrity Style Awards aims to recognize the best of celebrity fashion and promote the publication's vision of "stars, style and stories". A Style Council composed of School of Fashion and the Arts co-founder and bag designer Amina Aranaz-Alunan, fashion show director Jackie Aquino, professional model-actress Marina Benipayo, fashion designer Randy Ortiz, and Metro Magazine Creative Director Patrick Ty will serve as the style council who will collaborate with StarStudio’s editorial team to determine this year’s nominees. There are nine categories open for voting, Celebrity Fashion Muse, Celebrity Fashion Leading Man, Young Fashionista on the Rise, Young Stylish Guy on the Rise, Female Stylish Host, Male Stylish Host, Female Onstage Stylista, and Male Onstage Stylista and Most Stylish Loveteam. Vote for your favorite stylish stars at push.com.ph/vote or via SMS. Complete mechanics available at StarStudio’s official Facebook page: www.facebook.com/StarStudio.Magazine.